The annual OutStanding Short Story competition provides a safe and supportive environment for both emerging and established writers to share their stories. Other than a set length of 750 words and a different theme each year there are no restrictions; entries might express the triumph and joy of alternate sexuality, or the pain and difficulty. They might be funny or sad, sweet or bitter, outrageous or introspective. Australia has, of course, a rich tradition of LGBTQIA+ literature. Local poets and authors have been expressing our peculiarly antipodean experience for decades, perhaps even centuries. To hold an annual short story competition for the LGBTQIA+ community in Australia and New Zealand. To provide a safe and supportive environment for both emerging and established writers to share our stories. 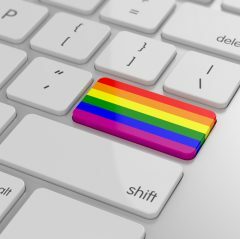 To increase the visibility of LGBTQIA+ writers in wider literary circles, and more broadly to enable LGBTQIA+ people to take our rightful place in the wider society. To provide a space for the expression of LGBTQIA+ values, experiences, history and hopes. Our organisation contributes to building a resilient and strong LGBTQIA+ community by giving visibility to our stories, our creativity and our lives. Our competition offers the opportunity for self-expression through fictional writing, the chance to share work with other writers, and the opportunity to reach a broad audience, particularly through our partnership with Sydney Star Observer, who publish all winning stories. We also promote the development of excellent writing skills through our regular posts of quality materials on our Facebook page and our website. Our judges are well known in queer literary circles and they take their duties very seriously, looking for outstanding sparks of creative brilliance. Our Short Story competition has actually been around for quite some time. Originally curated by a small committee under the umbrella of Gay-ebooks, it then became Mardi Gras Short Story Competition for several years. In June 2013, with the blessing of Mardi Gras, we re-launched at Pride with a new name…OutStanding LGBTQIA+ Short Story Competition, with Alex Greenwich our local Member of Parliament officiating at The Stonewall Bar. At the same time we launched our new Facebook page.